Yesterday I went in to LUSH, I haven't been in there for such a long time I was starting to miss it, OK, slightly dramatic but I tend to go through phases of buying LUSH products all the time and then I will go a couple of months not stepping in to the shop! The Comforter RRP £4.50 and Sultana Of Soap approx RRP £3.00 per 100g. 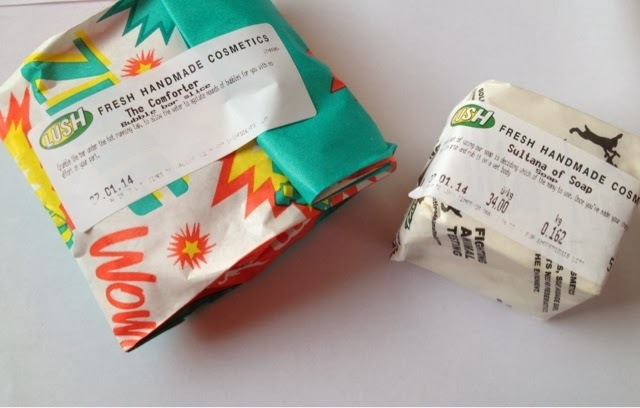 If you know LUSH you will know every Christmas they bring out there Christmas range which you can only buy in December, I adore the Snow Cake soap they sell and I always get withdrawal symptoms after Snow Cake leaves the shop for another year. The lovely LUSH lady told me that Sultana Of Soap is very similar as Snow Cake is super creamy and this is very very creamy, even before testing it out at home, the lady in LUSH handed me a piece and it was sipping about in my hand, I could feel the oils in the bar! It's super moisturising and smells delicious! 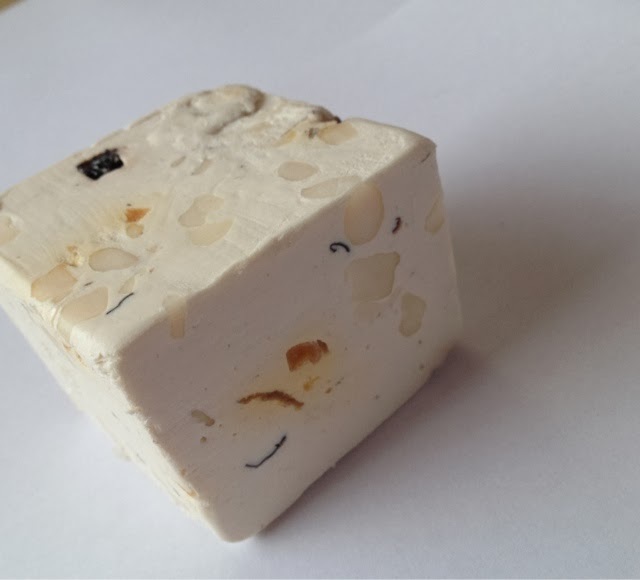 "A creamy soap filled with dried fruits fit for a king. If your skin’s feeling drier than a desert, Sultana of Soap is your oasis. Inspired by Italian nougat, this fruity little number quenches parched skin as it’s made with olibanum oil." 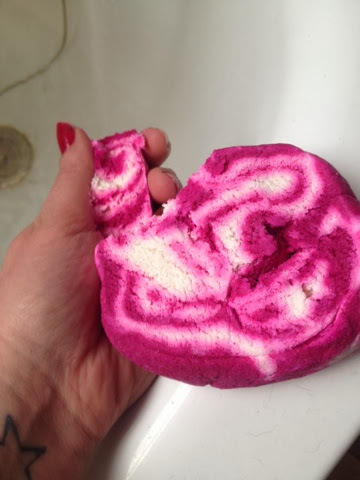 The Comforter is the queen of bubble bars in LUSH! The best selling bubble bar is very sweet and bursting with berry scents. 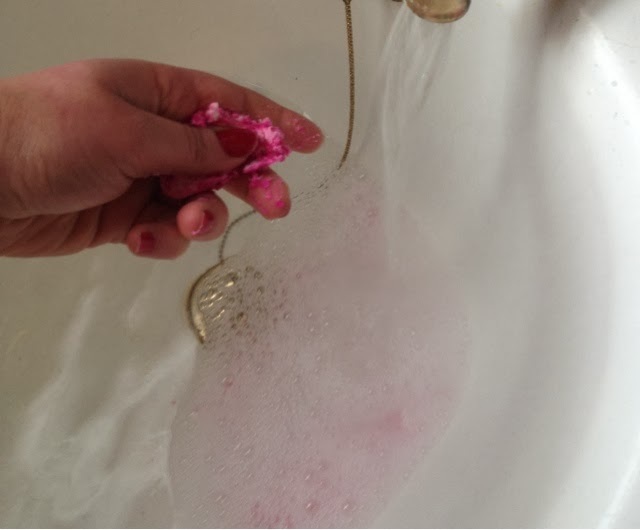 For anyone who hasn't used a bubble bar before they are like a soft and slightly moist bath bomb which you break a chunk off and crumble under running water in to your bath. 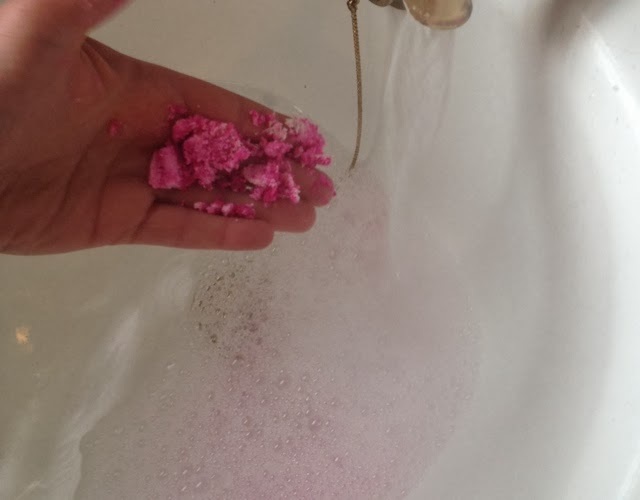 I used about 1/6th of the bar and my bath was full of bubbles and made the water bright pink! As soon as I got in the bath I could instantly feel the oils from the bard on my skin and the smell is divine. 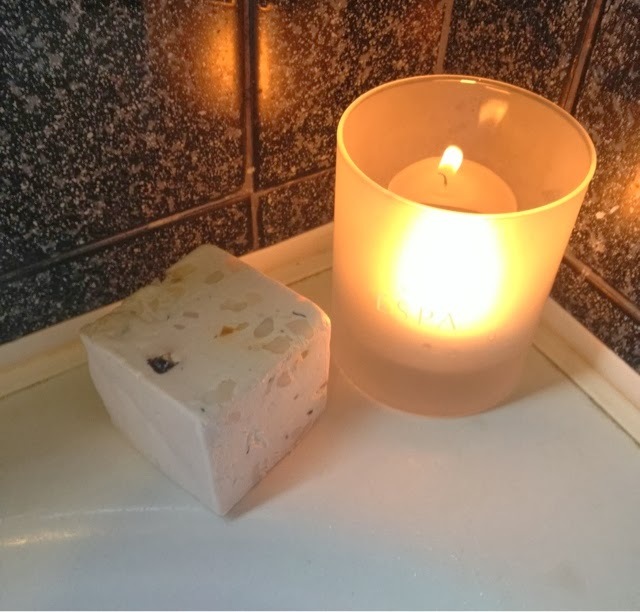 "A bathtime blend of fruity essential oils to wrap you up in a big comforting hug. Sometimes you just need to shut yourself off from the outside world under a blanket of fruity foam that will put you back in the right frame of mind to face the world." 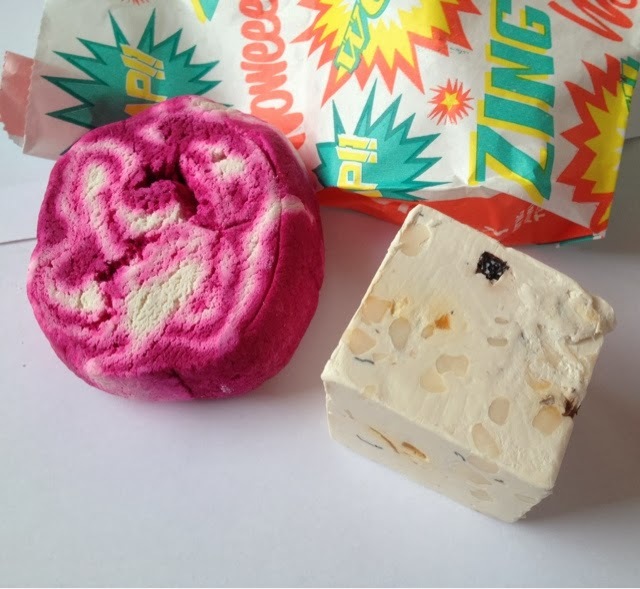 I love both of these product and will definitely buy them both again, I don't often have baths as I prefer showers so The Comforter will last me quite a while, I can keep it for a bath time treat, however I know the soap won't last very long as it's so creamy and will get used everyday! 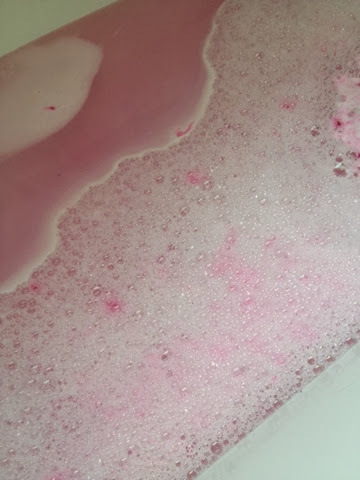 What are your bath time favourites from LUSH? Have you tried either of these products? I can't walk past a LUSH without buying something - I have never tried any of their soap. 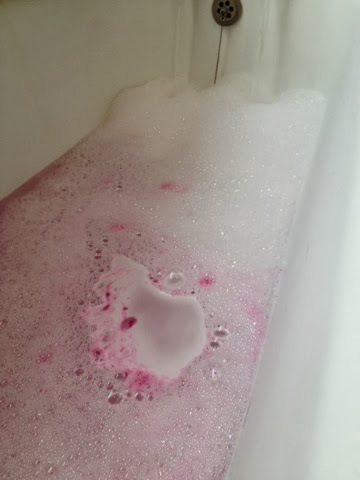 I'm glad to hear your lush people aren't in your face! I've never gone back to the one in Leeds since I was acted if I was okay 5 times by 5 different people in the first min of walking in. 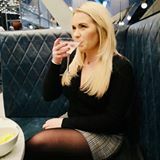 I'm awkward and it made me feel so uncomfortable! I'd love to try some of the bath bombs etc but I don't have a bath. Well, there is one in my house but it's my housemates bathroom, they share as I have the en suit with the shower only. Ahh, can't win em all, aye?